In 1968, nine sailors set off on the most daring race ever held: to single-handedly circumnavigate the globe nonstop. It was a feat that had never been accomplished and one that would forever change the face of sailing. Ten months later, only one of the nine men would cross the finish line and earn fame, wealth, and glory. For the others, the reward was madness, failure, and death. 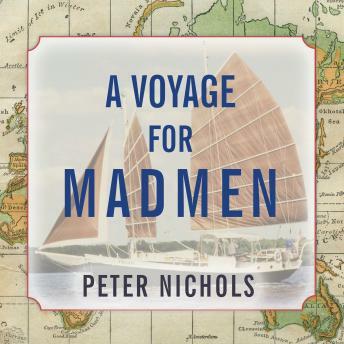 In this extraordinary book, Peter Nichols chronicles a contest of the individual against the sea, waged at a time before cell phones, satellite dishes, and electronic positioning systems. A Voyage for Madmen is a tale of sailors driven by their own dreams and demons, of horrific storms in the Southern Ocean, and of those riveting moments when a split-second decision means the difference between life and death.